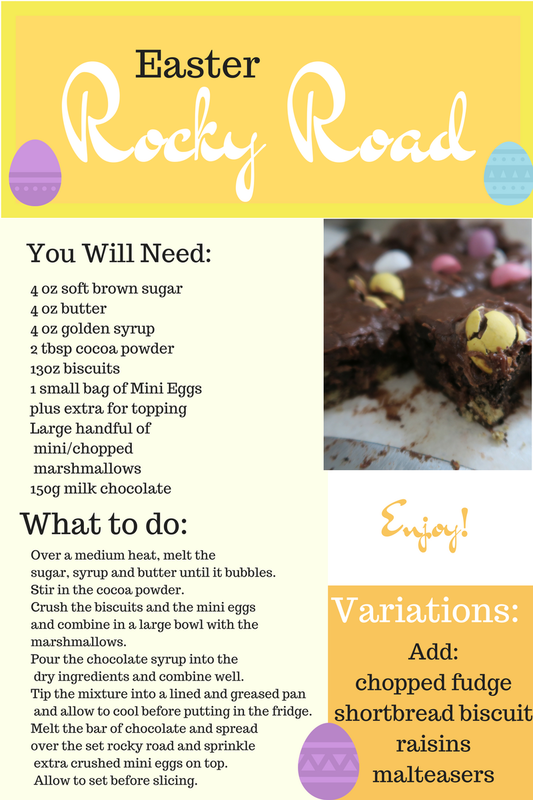 I loooove rocky road. The squidgier the better. 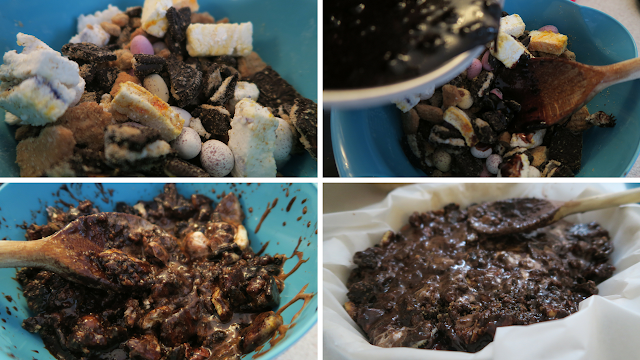 Dry rocky road is not my cup of tea, that is a variation of chocolate refridgerater cake surely! Although, if offered some choc fridge cake with a cup of tea I would most likely accept. I have recently tried my hand at making marshmallows from scratch. To make them "Easter-y" I swirled through some Wilton food colouring gel; daffodil yellow looked way better than the violet which was darker than I remembered. 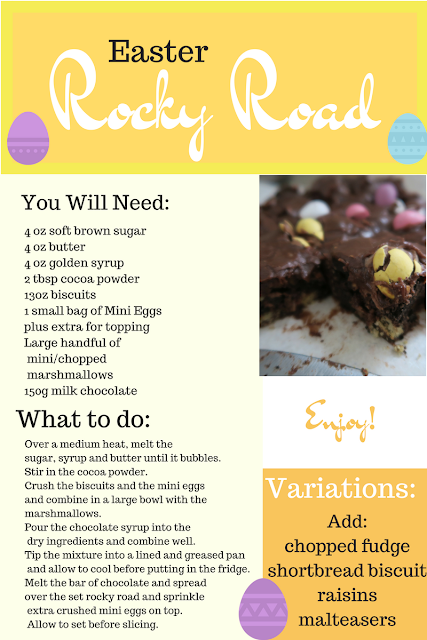 A good friend reminded me about rocky road, so here I am, showing you my Easter rocky road recipe. What makes them Easter-y? Cadbury Mini Eggs and my homemade Easter marshmallow of course. I ended up looking up my own recipe from way back when. 4 years ago I decided to try making rocky road to take to said good friend's son's party. I even filmed the recipe for my YouTube channel Sophie and Lily. It did make me smile to listen to my young daughter's noises and squeals. Lily is now five years old, can't believe it! 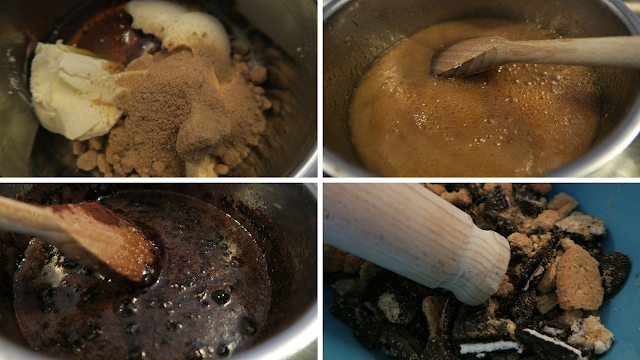 Warning: This is seriously addictive (I wonder why!) so do what I did and give at least half to some friends. Save yourself!